Wonder Woman has years of experience when it comes to swordplay and the art of warfare. It's not something you can just learn in an afternoon. Of course, after one viewing of Zack Snyder's Batman v Superman film, it's sort of hard not to imagine yourself as an Amazonian princess, battling against the forces of evil, so we understand if you just can't stop yourself from dressing up like the DC superhero. We even have a sword that's perfect for you while you learn the ways of heroism! This Dawn of Justice Wonder Woman Sword is modeled after the one used by Gal Gadot in the film, but it's made out of foam. That makes it the perfect training sword to get you ready for a big battle with Doomsday, or for your big costume party debut. 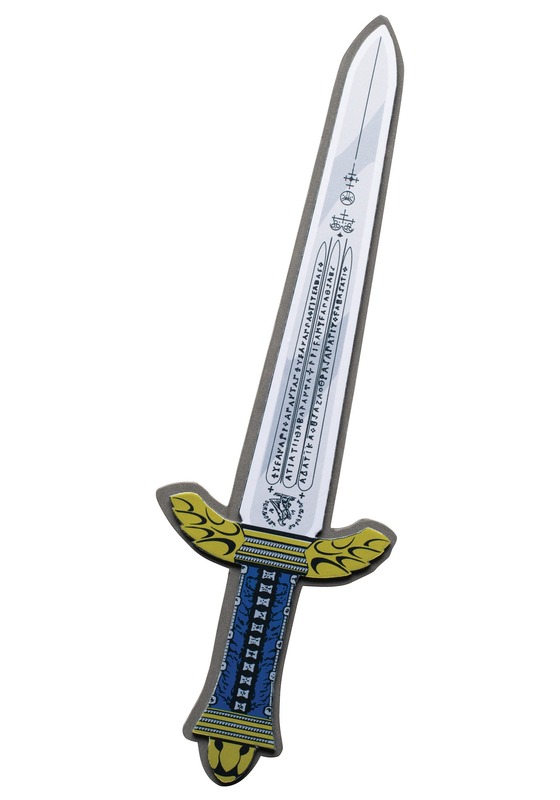 With a 7” grip, the sword is comfortable to wield for both kids and adults, while the runic inscriptions give it the look of an ancient sword from Themyscira! It's exactly what you need to finish off your costume.